Cotton polo shirt without sleeves. Comfortable and breathable. 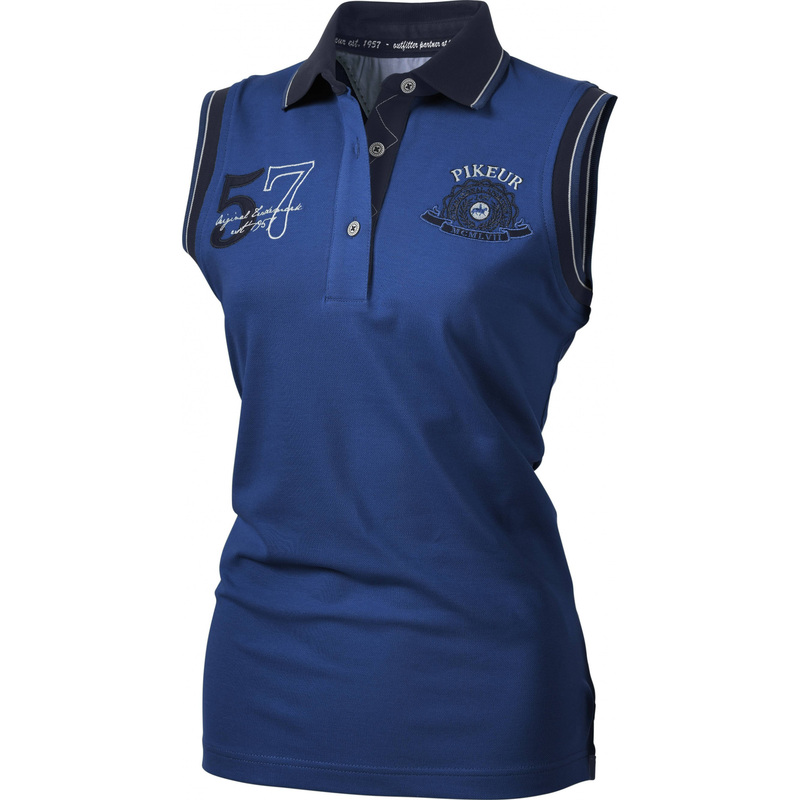 Collar, button-stay and area around the arms finished in a contrasting color. 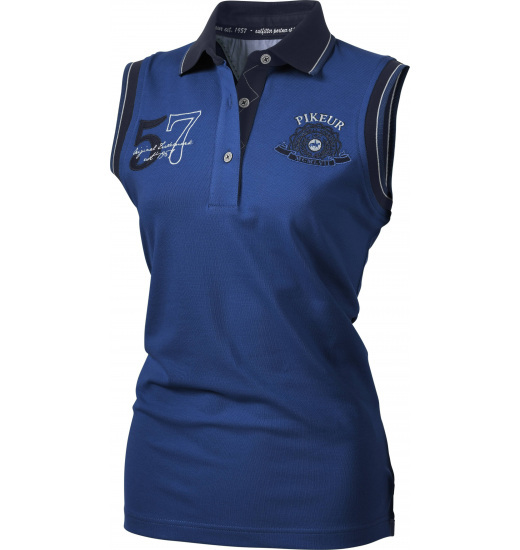 On right chest embroidery with number 57, on the left with the PIKEUR logo.